Verge Center for the Arts is pleased to present Terra Nullius, an exhibition by the Los Angeles based artist and Verge resident, Lisa Oxley. 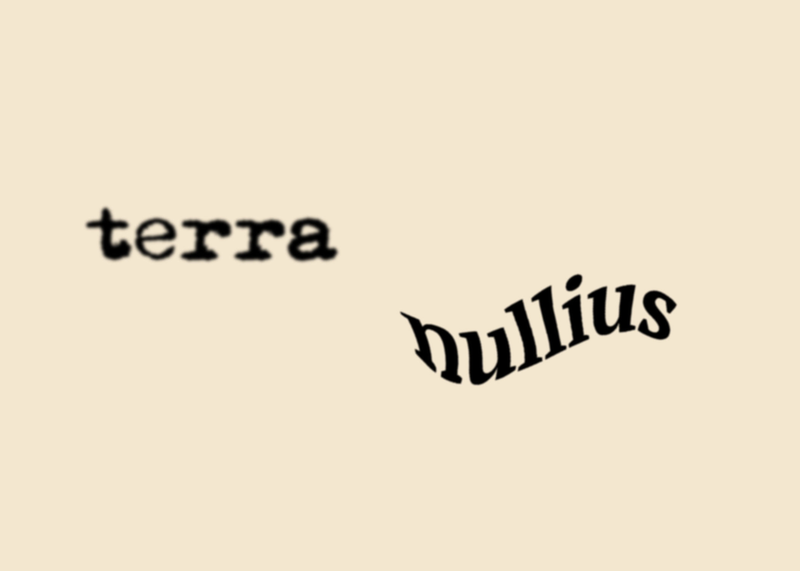 Terra Nullius is Latin for “Nobody’s Thing” or “Nobody’s Land”; land uninhabited or belonging to no one. In international law it is used to designate “a territory which has never been subject to the sovereignty of any state. It has been used to build empires, to claim rights of Manifest Destiny, and carries the notion of speculation, for example international airspace, oceans beyond the continental shelf, outer space and the planets of the solar system are also designated as terra nullius. Often a swath of land between two contested territories, it points to borders, walls, and issues of citizenry. In this exhibition Lisa Oxley explores these questions and the in-between space that the title implies through painting, architecture, and dialogue, activating the space that Verge provides as a cultural institution within the expanded site of the State Capitol in Sacramento, and beyond it, in the US. Upon entering the gallery one is confronted by a large white wall, imposing and cumbersome to the viewer’s ability to circulate the exhibition space, dividing it. “Thirty Foot Wall” brings to mind Robert Ryman’s 1975 work, Varese Wall in its delicate treatment of whites, painted texture, and shimmering light. But inscribed on Oxley’s wall on the surface of the painted skin is what appears to be a word or two. The words are at times visible and invisible in the play of light, revealing her fascination with the relationship of image and language through the use of CAPTCHA. CAPTCHA is a security system and a barrier invented to allow or deny access to a virtual site on the Internet. It attempts to separate humans from spam producing bots, and functions on the notion that a computer or non-human entity registers it as an image and a human registers it as language. The words are slightly distorted, somewhat outside of meaning, or somewhere at the edge between sense and nonsense. Hidden behind this wall is a large-scale floor work titled Sanctuary, a quilted and sewn painting of the floor tiling the State Capitol building depicting Minerva and the Grizzly Bear. Oxley’s work often plays with the relationship of painting and architecture- a painting that is a wall; a painting that is a floor. In this piece, viewers are invited to take off their shoes, sit in contemplation or lie down in the sanctuary. A sound bath accompanies the experience with voices both human and non-human. Sanctuary embodies the idea of a human sanctuary, a safe place for humans; a non-human sanctuary, such as a bird or animal sanctuary; and the notion of a sacred site. For the opening weekend of the exhibition, Oxley has invited Linda Pollack, founder of the social practice project, “My Daily Constitution” to develop several public conversations addressing issues of immigration and DACA through the prism of the US constitution. “My Daily Constitution” is an on-going public project that encourages greater fluency of constitutional democracy, law and governance. At the heart of My Daily Constitution are “Constitution Cafes,” guided dialogues designed to break away from the dynamics of the large lecture hall, and the invisible ‘wall’ of the panel discussion. These dialogues are designed to be informal events where individuals and communities can become active participants in a dialogue about our democracy. For the current exhibition, My Daily Constitution will be hosting two events – a Constitution Happy Hour on Saturday, December 9, from 4 – 6pm, that explores the rights of immigrants under the constitution, and a Constitution Cafe on Sunday, December 10, from 11am – 1pm, oriented towards advocacy and activism on the issues around DACA.